Punk icons Henry Rollins and Alec MacKaye lend their pens to this photo book about a tight window into the punk scene in D.C. One might have seen a few of these shots in Banned in DC or perhaps Dance of Days already, but still, photographer Lucian Perkins, whose work is featured here, is a Pulitzer Prize winner and it’s good to learn more about this music scene that was so important internationally. 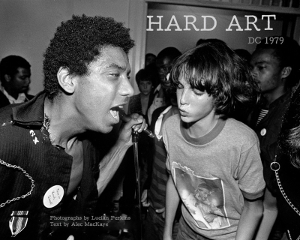 This entry was posted in News and tagged Bad Brains, book, Hard Art, punk, Washington D.C. by Editor. Bookmark the permalink.